Supplement to the Austroads Guide to Pavement Technology Part 2: Pavement Structural Design. The purpose of this Supplement is to provide more specific procedures and direction when using the Austroads methodology for the design of new pavements for the Department of Planning, Transport and Infrastructure, a South Australian State Government Department. Fifth Edition published August 2018. This supplement is issued to clarify, add to, or modify the Austroads Guide to Pavement Technology, Part 2: Pavement Structural Design (2017). NSW Roads and Maritime Services accept the principles in the Austroads Guide to Pavement Technology, Part 2: Pavement Structural Design (2017) with variations documented in this supplement. Warning: The Traffic Load Distributions (TLDs) as provided in Appendix B of the Code (versions prior to December 2018) and in the current CIRCLY 7.0 software are incorrect. A new version of CIRCLY 7.0 that will automatically update the Vicroads TLDs will be issued released in the next few weeks. Code of Practice. RC 500.22. Selection and design of pavements and surfacings. December 2018. 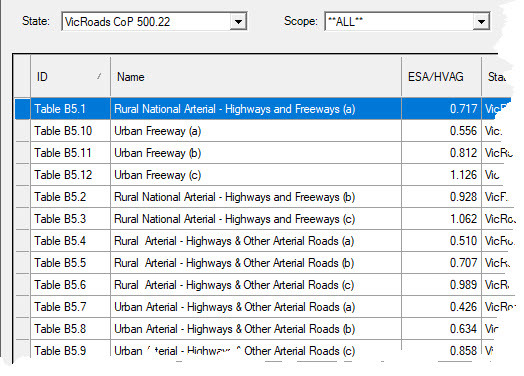 Vicroads has updated RC 500.22 to reflect changes in Austroads Guide to Pavement Technology – Part 2: Pavement Structural Design (AGPT02-17) (released in December 2017). This Code sets down VicRoads procedures for the selection and design of new road pavements and surfacing. The Code includes important information on Selection of Asphalt Types and typical characteristics of asphalts commonly used by VicRoads. The July 2018 edition of the supplement replaces the 2017 Pavement Design Supplement. The supplement has been updated primarily to align with the December 2017 version of AGPT02. The Pavement Design Supplement sets out supplementary and specific requirements for the design of pavements for Main Roads. It includes Main Roads requirements for pavement types, reliability, subgrade assessment, climatic considerations, material characterisation, traffic, design and comparison of designs. The 2017 New Zealand Guide to Pavement Structural Design replaces the New Zealand Supplement to the Document, Pavement Design – A guide to the structural design of road Pavements (Austroads 2004) written by Transit in 2007. This Guide includes additional guidelines for the Engineer in applying the Austroads design procedures resulting from research results and experience gained in New Zealand. The aim is to minimise confusion and promote consistency in design assumptions applied in New Zealand. This version of the New Zealand guide to pavement structural design is to be used for the design of new pavements. For rehabilitation refer to the New Zealand guide to pavement evaluation and treatment. The following graph illustrates the considerable reduction in Asphalt thickness for pavements at higher traffic loads designed with CIRCLY 7.0 (using the Austroads 2017 Design Method), compared to CIRCLY 6.0 (using the Austroads 2004-12 Design Method). This leads to reduced material and construction costs. CIRCLY 7.0 has just been released. You can get an Overview of CIRCLY 7.0 by starting here. Then click the Next > button at the bottom right hand corner on each page. The Austroads Pavement Structural Design Guide has undergone a major revision that was released in December 2017. The major change is how the details of the Traffic Load Distribution (TLD) are used as design inputs. The Traffic Load Distribution consists of the frequency distribution of Axle Group Loads. You can upgrade to CIRCLY 7.0 – at no extra cost if you have a current CIRCLY Annual Subscription. We are pleased to announce that the CIRCLY 7.0 Tutorials are online. Haul Road Design website launched! We have just launched the Haul Road Design website – a rich resource for Articles, Papers, Reports and Software for Mine Haul Road Design. We now have the CIRCLY 5.x to CIRCLY 6.0 Data Converter. It will convert all of your CIRCLY 5.x data to CIRCLY 6.0. Please contact Mincad Systems for more details. CIRCLY 7.0 fully automates the South African design method – the state of the art in haul truck pavement design. This one day course provides delegates with an understanding of the theoretical basis of mechanistic pavement design methods and is a hands-on course with each student having access to a PC. The course is offered as a single day for those who are well versed and practiced in pavement design, or who have completed any of the past CPEE two day Pavement Design courses, or for those who are attending the current Pavement Design – Principles & Practice 2 day course. The course provides an introduction to flexible pavement design models using CIRCLY 7.0 focusing on the 2017 Austroads Guide to Pavement Technology – Part 2: Pavement Structural Design (AGPT02-17). The workshop will also include an introduction to heavy duty pavement design for container terminals and airports. These courses are recognized by Engineers Australia for Continuing Professional Development (CPD) purposes. Note: The CIRCLY and Heavy Duty Pavement Design Workshops are “hands-on” experiences with each student having their own PC – so 16 places only. Additional Pavement related short courses are offered through The Australian Asphalt Pavement Association’s (AAPA) Training Centre. A full list of the courses on offer can be found on the AAPA website. Register your details below if you are interested in attending a Workshop and would like to be notified when further details are available. You should upgrade to CIRCLY 5.1 or CIRCLY 6.0 (at no charge) as this will make sure that you have the most up to date version of the program. To upgrade to CIRCLY 6.0 contact Mincad Systems. Download the CIRCLY 5.1 installer from here. Remember that if you intend to use Windows 8.1 or Windows 10, that you must install CIRCLY 5.1 or CIRCLY 6.0 (CIRCLY 5.0 cannot be used). A CIRCLY 5.0 Perpetual Licence allows you to use CIRCLY 5.0 for as long as you want. CIRCLY 5.0 will continue to run on any versions of Windows before Windows 8. CIRCLY 5.0 will no longer be maintained or supported from 1 November 2012. You will need to order a CIRCLY Annual Licence to keep receiving maintenance and support (or to use Windows 8 or any future version of Windows). You pay in advance for an Annual Licence. There are no further charges for support and maintenance and you receive major upgrades such as CIRCLY 6.0. The Annual Licence price may increase in future years in line with list prices. Please note: We will continue to replace any CIRCLY 5.0 Hardware Locks at the standard replacement charge (now $475 incl. GST and delivery) for an indefinite period. It has been about 30 years since CSIRO released CIRCLY, originally a FORTRAN program for analyzing Layered Elastic Media subject to surface loads. This paper (CIRCLY and Mechanistic Pavement Design: The Past, Present and Towards the Future – Leigh Wardle (2010)) gives an overview of how CIRCLY has evolved – from the first mainframe version, to the current user-friendly Windows-based, version 6.0 as the standard pavement design package used in 35 countries. 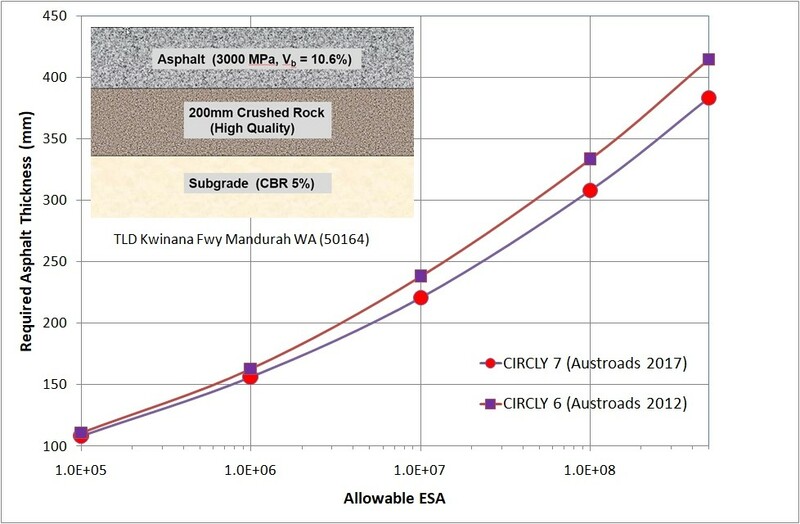 CIRCLY has closely tracked the Austroads mechanistic flexible pavement design procedure as it has developed. 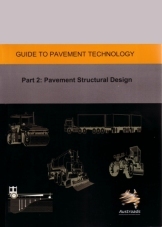 Austroads Guide to Pavement Technology – Part 2: Pavement Structural Design (AGPT02-12) was released in February 2012. AGPT05-11 : Guide to Pavement Technology – Part 5: Pavement Evaluation and Treatment Design was released in December 2011. This publication is an update of AGPT05-09. It covers thickness design for stabilisation treatments. We now have a number of online recorded demonstrations of the new CIRCLY 5.0 features. As a service to our clients we are making available a Sample Pavement Design Report written by a specialist pavement engineer, Graham Foley. This report is an example of using the general mechanistic procedure to refine an existing pavement design to give an alternative pavement design. It will be of use to both experienced and less-experienced pavement designers as how to approach and document a mechanistic design. Research by the European Economic Community has identified that a standardised European pavement design and maintenance strategy will lead to savings of billions of dollars in construction and maintenance costs. The first step in this standardisation process, the AMADEUS (Advanced Models for Analytical Design of European Pavement Structures) Project, a coordinated European Road Research Program formally commenced in January 1998. The AMADEUS Project involved a team of 15 national partners (Great Britain, Germany, The Netherlands, Belgium, Portugal, Denmark, Austria, Spain, Greece, Sweden, Finland, Switzerland, Iceland, Slovenia, Hungary) and included national highway research institutions, universities and other road research organisations. The project reviewed current pavement design methods and software. CIRCLY was one of the few packages that was capable of being used in all the phases of the project and achieved good ratings in all categories. Click here to download the 178 page Final Report.